Online ticketing has made the lives of people very easy and comfortable. With just few clicks of mouse, you can now book tickets from your home or office without taking the pain of standing in queue. 1. 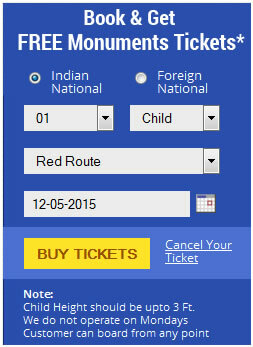 The height of children should upto three feet if claiming of half ticket price. 3. The customers can board the HOHO buses from any point. Just click online, select the kind of nationality and decide on the route you want to pick, the date you wish travelling and buy tickets. You can also cancel your tickets online.